Recently deeply scarred by the war and the tragedy of the genocide perpetrated by the Khmer Rouge, Cambodia is gradually rebuilding itself. The country is one of the poorest countries in the world. In 2012, the monthly income was $ 73 according to the World Bank. In this context of extreme poverty, it is difficult for many Cambodians to live in decent conditions. Accommodations are usually very unsanitary. The food can be a vector of bacteria and parasites. Added to this, is also flooding, mosquitoes and various diseases related to the tropical climate. In this small country of 15 million inhabitants, the population’s support mechanisms are non-existent. Access to education and health care is very limited. Children are often called upon to go out and bring money home. Their education is therefore very succinct. The Taramana Magdalena center is located near the underprivileged area of Boeng Salang, north of Phnom Penh, Cambodia’s capital. The city is experiencing significant population growth. Fleeing harsh conditions of poverty, many Cambodian leave the countryside for the city, hoping to find better living conditions. Far from the wealth they anticipate, these people are often marginalized in slums on the outskirts of the capital. 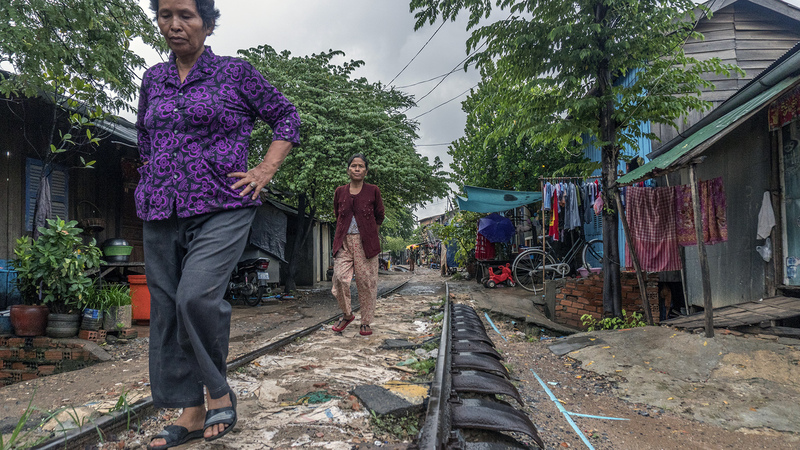 The residents of Boeng Salang live in extreme poverty along an old abandoned railway. Entire families live in overcrowded and unsanitary slums, with no protection from the wind and vulnerable to flooding. They often survive on only a few dollars a day and have no choice but to borrow at extravagant rates. Under these conditions, children are very often malnourished and in poor health. In Cambodia, chronic malnutrition affects 37% of children under 5 years old. This rate may reach 70% in some vulnerable areas such as slums. Exposed to various diseases, most of these children have never been vaccinated and to not benefit from any medical care. In these conditions of extreme living, it is very difficult for these children to access education, and therefore, create a better future for themselves. 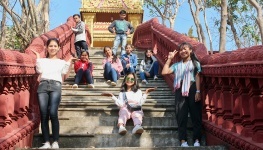 Given the urgency of the situation, Taramana has chosen to focus its action in this impoverished area of Phnom Penh with the main goal of supporting the schooling of these children.